We only got 30 bottles! 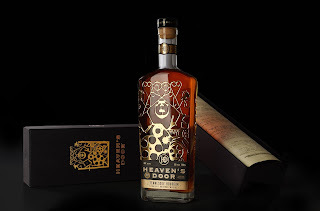 Introducing the newest addition to the Heaven's Door collection – and our first limited release. Our 10-Year Tennessee Straight Bourbon is a sumptuous whiskey from start to finish, with exceptional depth and complexity created by spending a decade in toasted American oak barrels. Prior to cask aging, the bourbon is mellowed through charcoal made from Tennessee sugar maple trees, a method known as the "Lincoln County Process." Like all of our co-creator Bob Dylan's releases, our 10-Year is well worth the wait.